The sciatic nerve is a long nerve originating in the lower back and extending down the back of the leg. When this nerve is irritated, it can cause pain, numbness, weakness, or other symptoms in the lower back and down the leg. There are several possible causes of this condition. 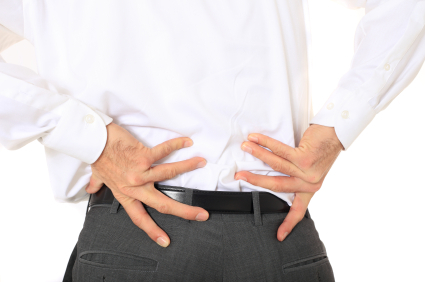 A misaligned vertebra can cause inflammation of the joints, putting pressure on the nerve. Bulging discs and muscle spasms can also cause pressure on the sciatic nerve. Several other conditions may cause this symptom, so a complete evaluation would be needed to correctly asses the exact cause.